Bill and Hillary Clinton created the Clinton Foundation after the Bill Clinton Presidency. It was set up under the ruse that it was a charity but it has been nothing close to that. The Foundation is used by the Clintons as a ‘pay for play’ operation where bribes to the Clintons or the Foundation are reimbursed in the form of political favors. The ultraliberal New York Times reported in April 2015 that the Clintons received millions of dollars from the Chairman of the firm Uranium One which were not disclosed publicly and in return the firm received uranium deposits in the US. At the same time as these transactions occurred the Russians were buying the majority stake in Uranium One. Ultimately the Clintons made millions and the Russians took over a large portion of the world’s global uranium supply chain. This transaction was just one of many that the Clintons took part in to amass their $250 million net worth over the past 16 years. This is a classic RICO case. This is the big league version of what the Clinton’s did in Arkansas where they used the Rose Law firm – you had to hire the Rose Law firm – Hillary got paid by the Rose Law firm – never showed up for work – and then you got contracts with the state of Arkansas. That was class AAA. This is now Major League fraud. The FBI has been investigating the Clinton Foundation for more than a year and now it has taken a “very high priority,” separate sources with intimate knowledge of the probe told Fox News yesterday. 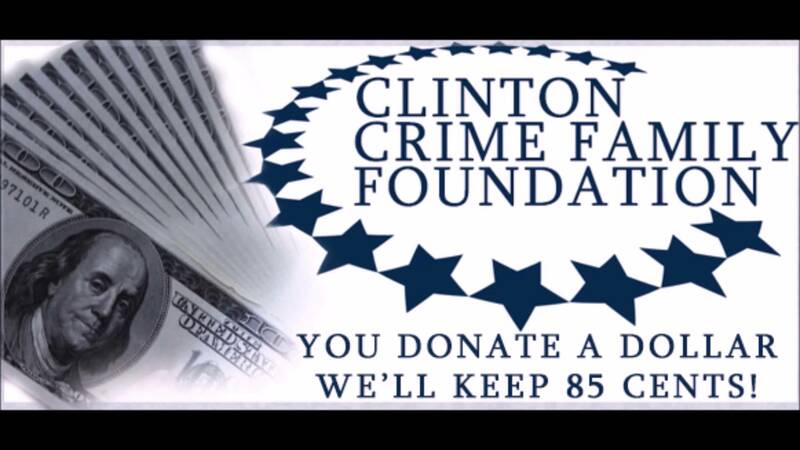 Although sources say that an indictment of the Clintons in regards to the Clinton Foundation is likely, it is unlikely that crimes committed by the Clintons in relation to the Clinton Foundation will ever be prosecuted by the criminal and political Obama Department of Justice. Only a Trump Presidency will bring these criminals to justice. A vote for Trump is a vote for protecting America from criminals. The Clintons are criminals.